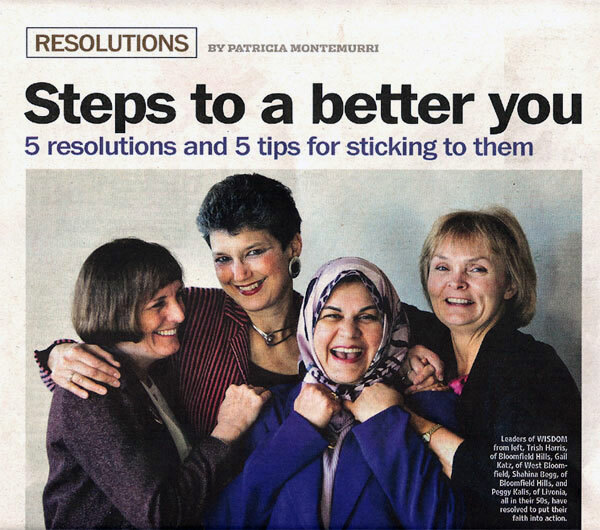 Leaders of WISDOM from let, Trish Harris, of Bloomfield Hills, Gail Katz of West Bloomfield, Shahina Begg, of Bloomfield Hills, and Peggy Kalis, of Livonia, all in their 50’s, have resolved to put their faith into action. Trish Harris, who is Catholic; Gail Katz, who is Jewish; Shahina Begg, who converted to Islam from Hinduism, and Peggy Kalis, who belongs to the Unity church, met last year. Within months, over informal lunches, they formed the Women’s Interfaith Solutions for Dialogue and Outreach in Metro Detroit (WISDOM). Here’s what the four said were some of their guiding principles, which helped them put faith into action. Remember the Golden Rule and that it’s universal across faiths. When the WISDOM group packed aid packages for children affected by war in the Sudan’s Darfur region earlier this month, they asked participants to recite a tenet from more than a dozen represented faiths about how to love your neighbor as yourself. As important as what people believe is how they behave. Don’t be afraid to shine a light on what you believe and have accomplished. 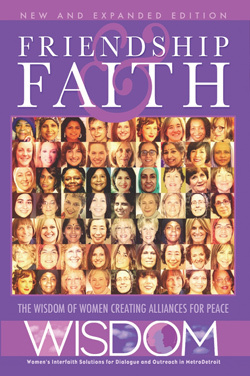 WISDOM is going online at month’s end with www.interfaithwisdom.org. Pray for renewal. Feel the doubt and the fear … and do it anyway!